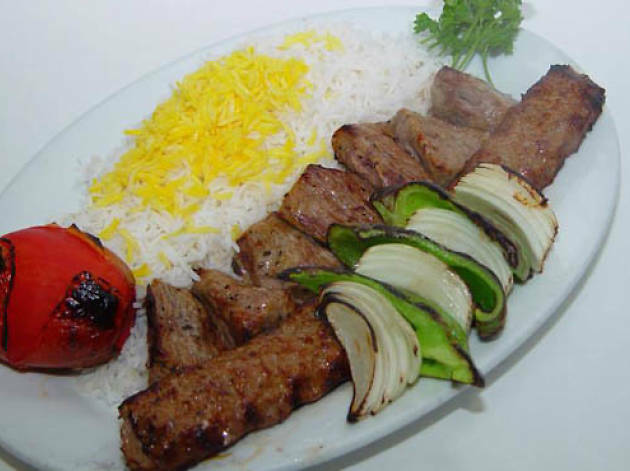 Located just around the corner from other notable Persian restaurants, this is one that you cannot miss as the food here is consistently good. 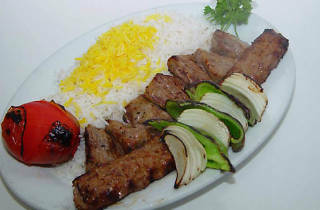 Order a khoobideh (ground beef) kabob or even their juicy chicken khoobideh (ground chicken) kabob, or as a soltani (one skewer of ground meat and one skewer of filet meat, served with rice) is top notch. Standout stews, which change daily, include the fesenjan (a sweet and tangy stew of pomegranate syrup and ground walnuts, traditionally made with chicken or duck) over plain white rice with saffron. The atmosphere at this Westwood mainstay is casual and for all non-Farsi speakers, the staff knows their English so don't be shy to ask for clarification on a particular dish.